Make Sure Patient and Doctor Protection is on the White House Transparency Agenda! Doctors and other medical people are totally in agreement that transparency is critical to current medical reforms under debate. We are completely united that Hippocratic traditions and quality patient care must be maintained. Huge reforms are being debated. The public must know that their doctor works for the individual patient. Especially when dealing with chronic devastating illnesses like Cancer and AIDS, the public must know that the federal govt will back scientific treatments based on the best possible data. There is no room for anti-scientific treatments. Only with solid, transparent trials of treatments, backed by the best possible treatments, and with solid whistleblower protection, can we move forward. Medicine is based on truth. It is time to end the dark ages, and protect all medical whistleblowers. Genuine federal whistleblower protection is on the verge of becoming law. Both the House and Senate held hearings in the last month on the Whistleblower Protection Enhancement Act of 2009 (WPEA), documenting painful lessons learned from the gutted Whistleblower Protection Act – the only legal recourse for federal whistleblowers. The record is in our favor, and the support from Congress and the Administration for strengthening the law is at an unprecedented high. With our momentum, however, has come increased opposition from the internal power structure and federal management. That means we can not ease up now. We are in the stretch drive of passing credible rights that would protect federal employees from retaliation when they expose abuses of power that betray the public trust. We expect the key congressional committee votes later next month, after the July 4 recess. Until then, we need to lock in credible reform by voicing our support for H.R. 1507, the House WPEA version that protects all taxpayer-funded federal employees, with rights enforced by access to jury trials. Here’s where you come in. In response to President Obama's campaign promises to promote a more transparent and open government, the White House created an Open Government Directive, comprised of three phases for citizen participation; Brainstorm, Discuss, Draft. 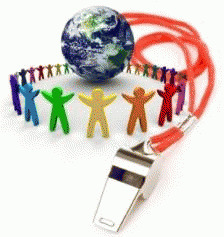 We called on the whistleblower community to support <click here Whistleblower Protection during the “Brainstorming” phase. Thanks to your response, it made 2nd place under “Transparency: Open Government Operations”! We need your voice again in the “Discussion” phase, to ensure that federal whistleblower protection is part of any credible dialogue on open-government. The deadline to post a comment is this Friday, June 20th. We will contact you when the "Drafting" phase begins as well.